Physiotherapists working in Neurology are concerned with the problems a person may have when parts of the nervous system are damaged. The prime purpose of physiotherapy is to restore and maintain function, activity and independence and to help prevent injury or illness, through treatment and information. 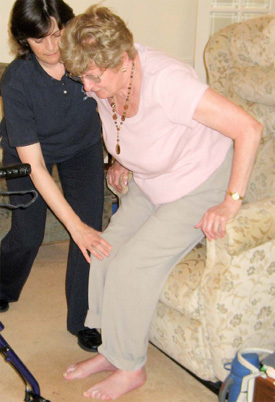 Our Community Physiotherapist provides a service for adults with physical health difficulties who may be housebound or have difficulty getting to clinic. The people who are going to benefit from this may have problems with mobility and difficulties carrying out daily activities.